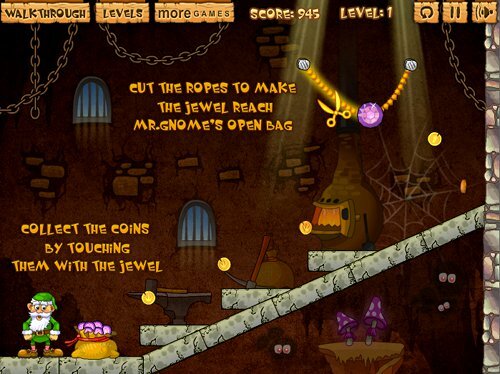 Description Strategically cut ropes to guide the gems to the gnome in each hazard-filled level of this addictive physics-based puzzler. Controls Use your mouse to cut the ropes. Well done physics puzzle, pretty nice fairy tale style graphics.